Ready for an Adventure with Tang? Have you seen or tasted this? Tang recently came out with three different flavors. These are actually Tang products that came out about three months ago but it’s worth documenting because of their attempt to woo more kiddie customers to like their brand. How is this gonna be different with their current Tang products when the original campaign was to target kids below thirteen years of age. Is this an experiment? Perhaps. Last summer, Tang came out with a astro-adventure campaign where kids are dressed like some sci-fi heroes who are out to save a world blistering from the heat of the sun. Tang hasn’t come out with an official commercial for this (I haven’t watched anything on primetime) but it sure seems like they’re biding their time and it all indicates these new flavors will be here to stay. 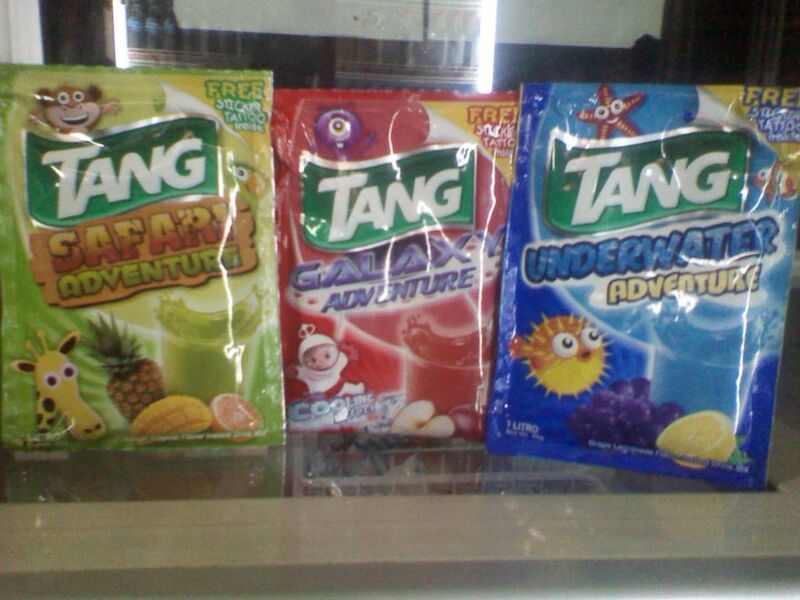 Have you tried Tang’s new Safari Adventure, Galaxy Adventure, or Underwater Adventure flavors? What do you think of the new taste Tang offers? Summer is coming up so I’m sure Kraft Philippines will have a blast with these flavors. They should stay! we tried the safari adventure and really like the taste…. and when we got back to the usa. we were sad because it was no where to be find. is it still available? the Tang underwater? where can i buy them/??? I don’t think so. When Tang Philippines come out with products like these it’s always for test market purposes and they’ll retain if the demand is great but as what happened I guess it didn’t make the cut so now you can’t see them in any stores. I don’t think Tang deviced this product to make more happy people but I’m happy you read my review. Enjoy your day! Agree but these really were made for kids. Enjoy your day! Are they still selling these? I can’t find them in my local stores. Unfortunately no longer. I hope they come out with new flavors by summer again.